William "Bill" B. Turpen, Jr.
William B. 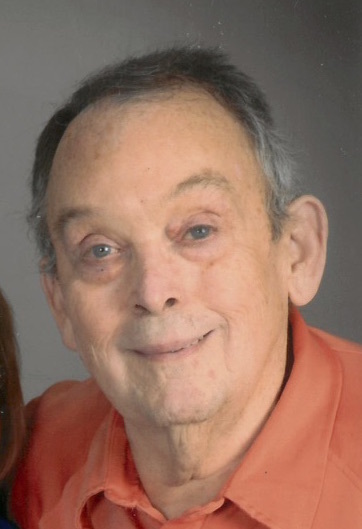 “Bill” Turpen, Jr., 69, of Germantown Hills, IL passed away at 5:44 am on Monday, August 27, 2018 at his residence. He was born on October 5, 1948 in Somerset, KY to William B. and Adda C. (Mincey) Turpen, Sr. He married Darlene K. Kirby on March 25, 1967 in Farmer City, IL. Surviving are his wife Darlene of Germantown Hills; children Kattina Hoffman of Eureka, Michael (Nicole) Turpen of Mackinaw, Thomas (Amanda) Turpen of Creve Coeur, and John Turpen of Sumner, IL; mother Adda of Metamora; grandchildren Kylie (Austin) Brown, Michael James, Jordan, Cole, Blake, Angel, Miranda, Ava, and Keegan; one great-grandson Karter Brown; and siblings Charles (Coral) Turpen of Metamora, Helen (Denver) Burton of Mansfield, IL, and Harold (Carol) Turpen of Farmer City. He was preceded in death by his father. Bill graduated in 1966 from Deland-Weldon High School. He worked as a manager at Caterpillar Tractor Company until his retirement. He enjoyed camping, boating, roller coasters, gardening, and traveling to his Florida home. He was a member of Germantown Hills Baptist Church and both his church families in Illinois and Florida were special to him. Time spent with family was Bill’s greatest joy. He always looked forward to being with his family. Funeral Services will be held at 11:00 am on Saturday, September 1, 2018 at Germantown Hills Baptist Church with Reverend Michael Carlson officiating. Visitation will be held from 9:00 am until service time on Saturday at the church. Burial will be in Hickory Point Cemetery in Metamora. In lieu of flowers memorials may be given to Germantown Hills Baptist Church, 304 Schmitt Lane, Germantown Hills, IL 61548. Online condolences at www.masonfuneralhomes.com.